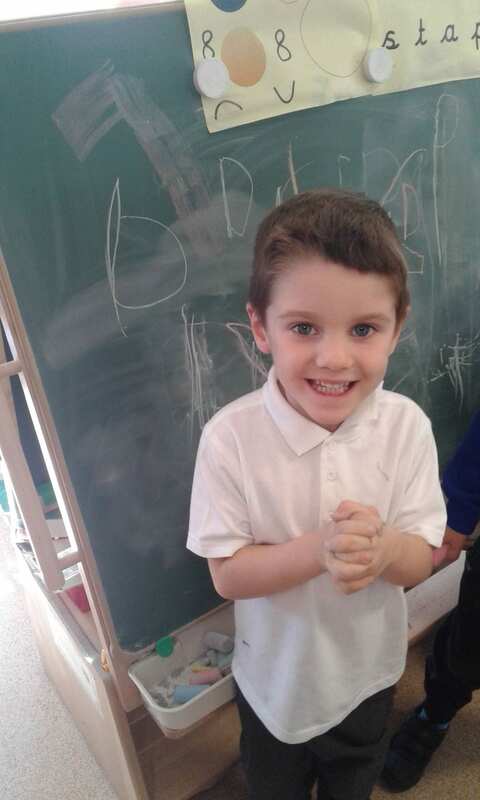 Class 1: So much fun… and we’re learning! 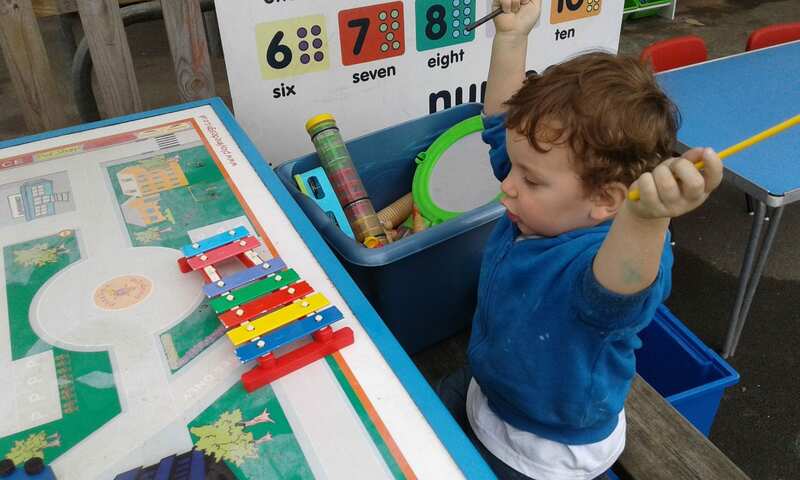 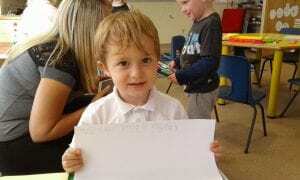 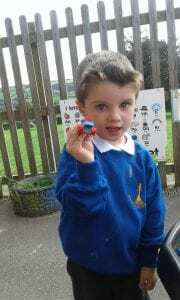 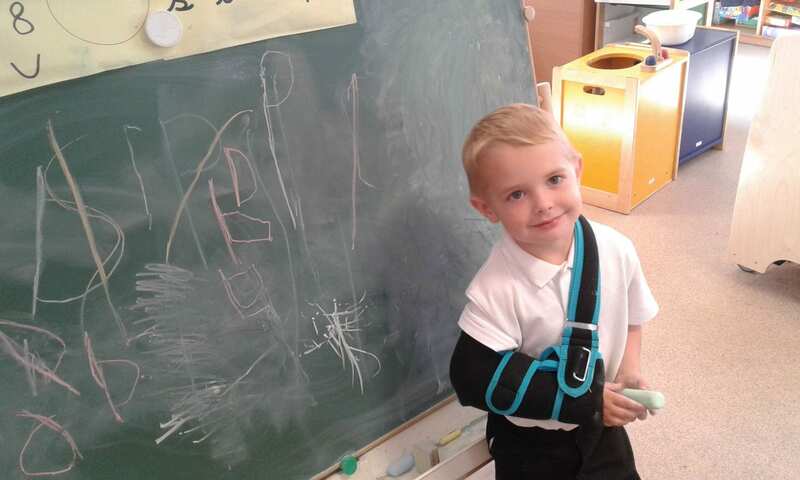 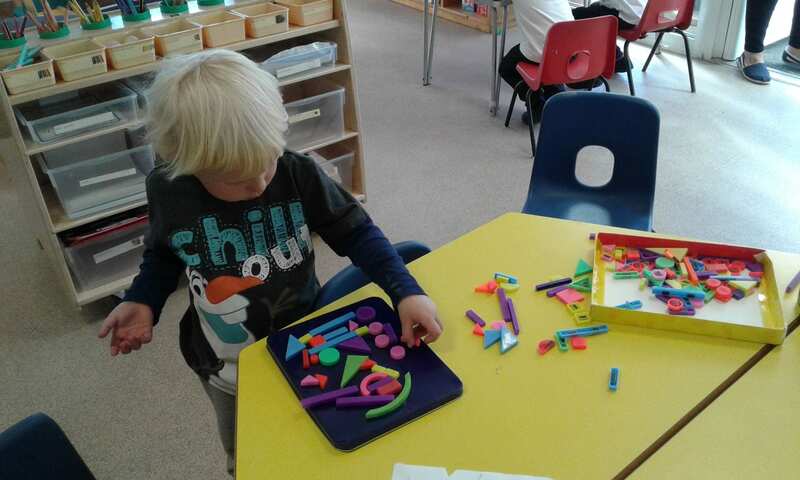 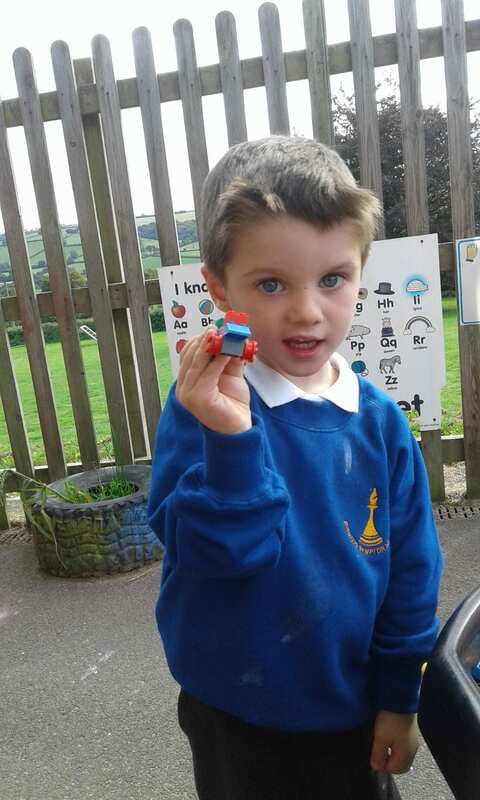 Class 1 – Now that we’re into our fifth week of learning the children in Reception are excited about the new skills they are learning as they learn their phonics and how to write the letters that make those sounds. 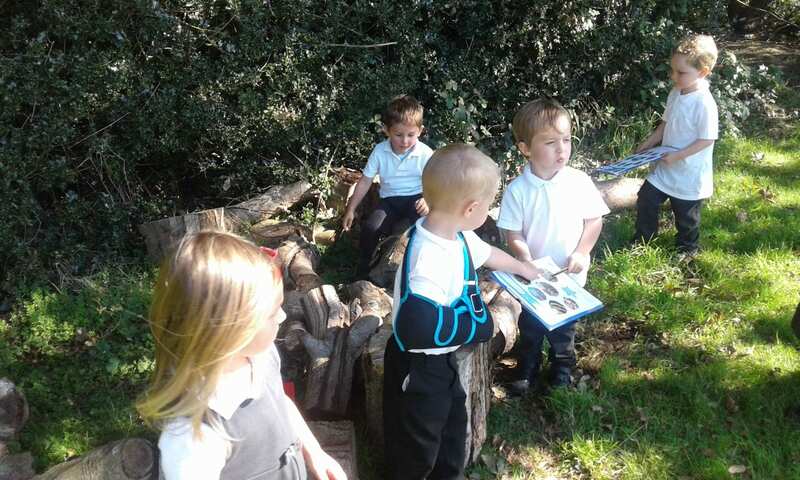 They are, quite rightly, very proud of their achievements as is the whole Class 1 team. 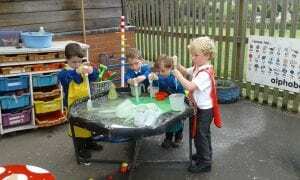 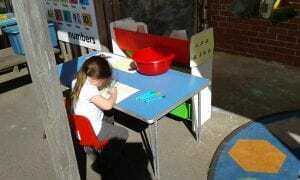 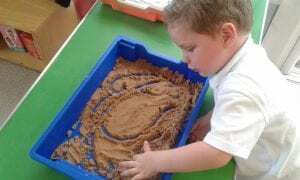 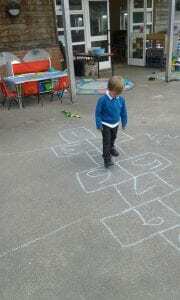 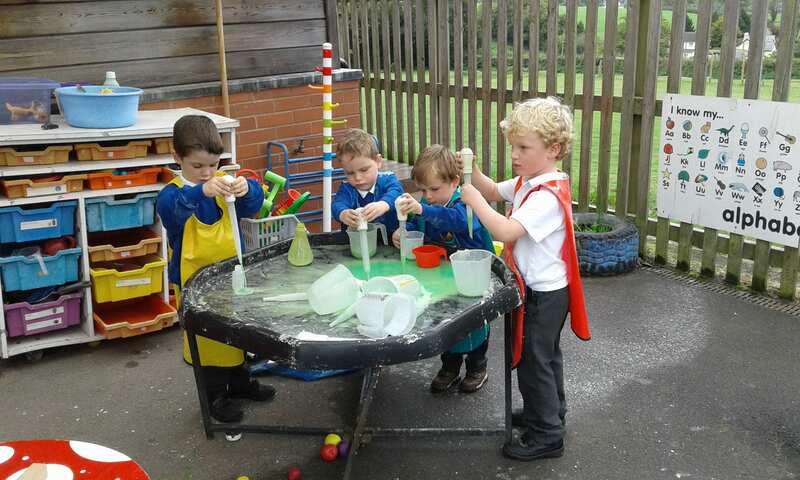 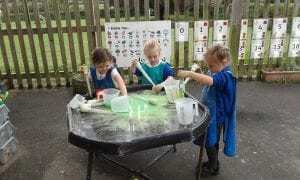 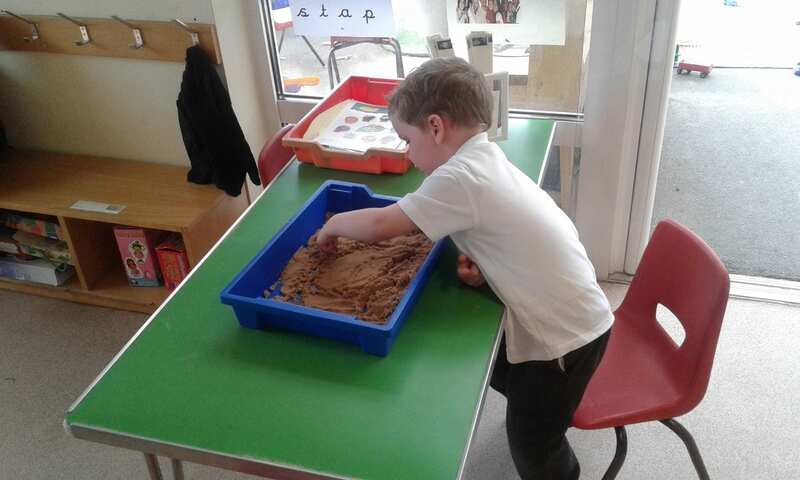 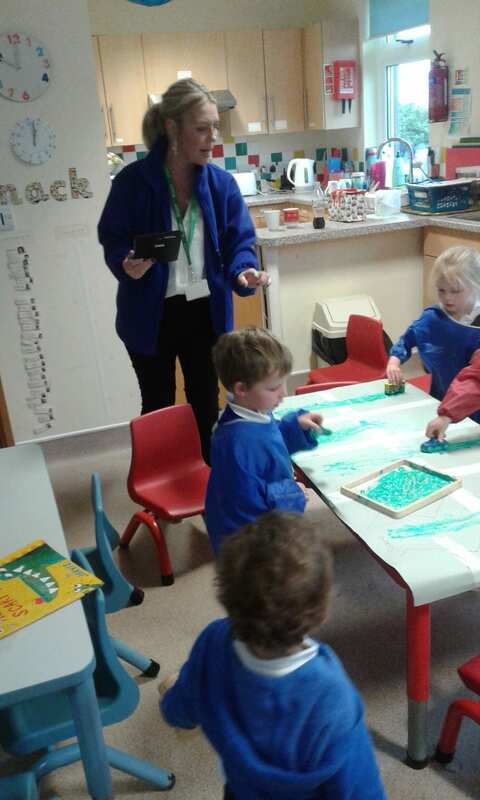 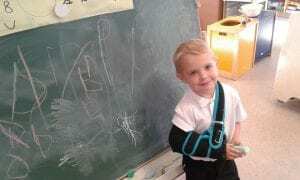 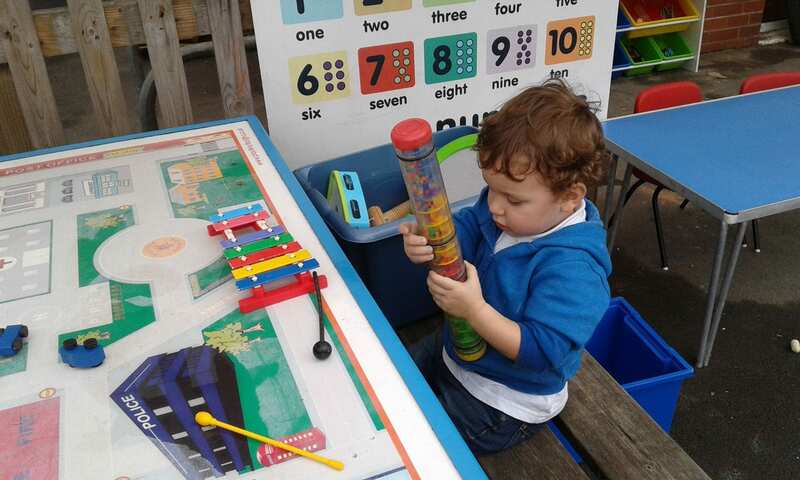 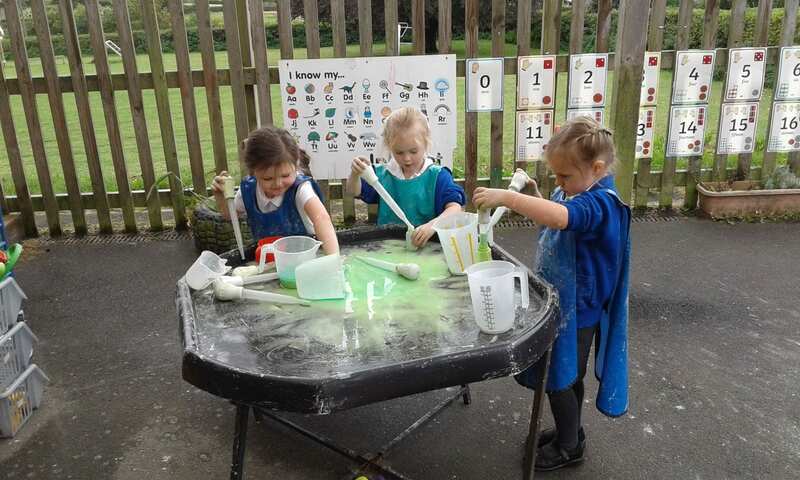 The Nursery children are also really enjoying the many different opportunities for mark making. 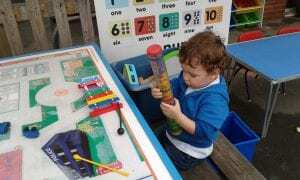 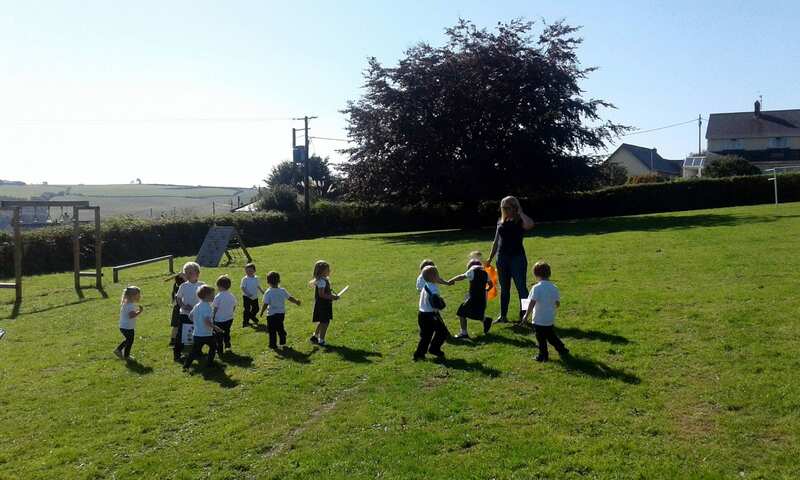 Of course we’re also very aware of how important it is to build and develop the children’s physical strength and coordination and provide the children with many opportunities to do this both inside and out. 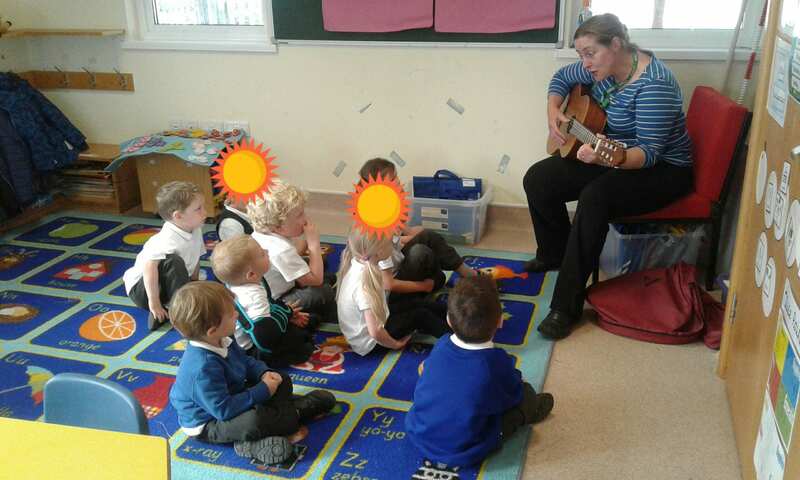 We were even lucky enough on Friday to have Chrissy Rycroft with us and took advantage of the chance to sing along with her and her guitar – thanks Chrissy! 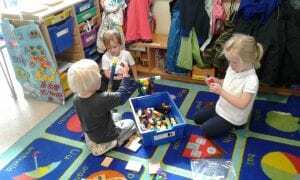 Our music theme continued this week as we explored some of the sounds we could make ourselves! 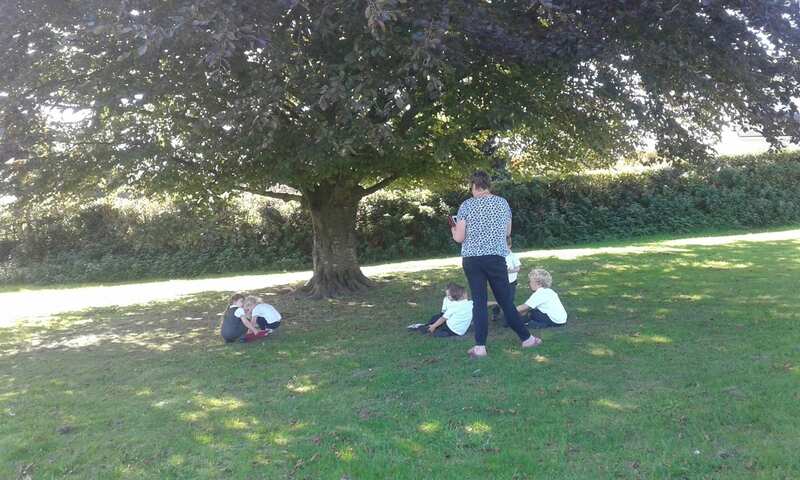 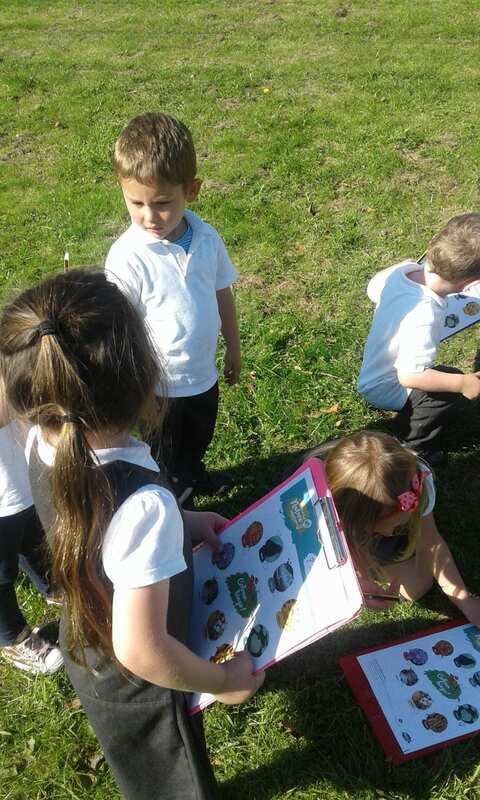 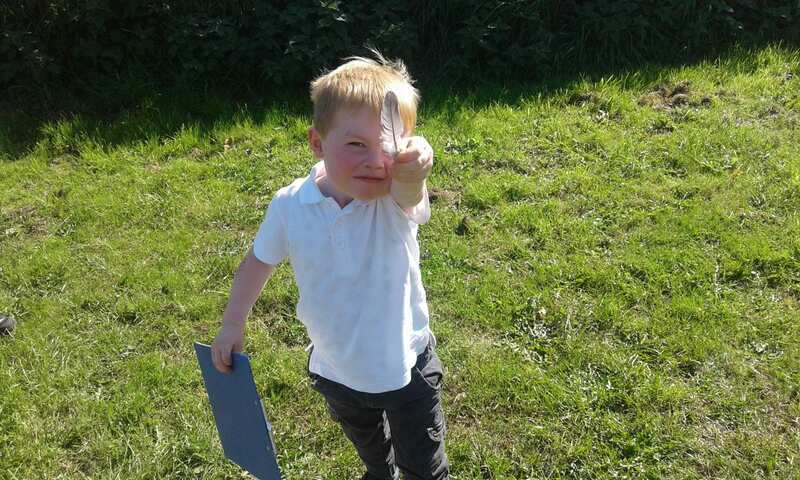 We also found time to make the most of the good weather last week and went on a senses walk around our beautiful school field. 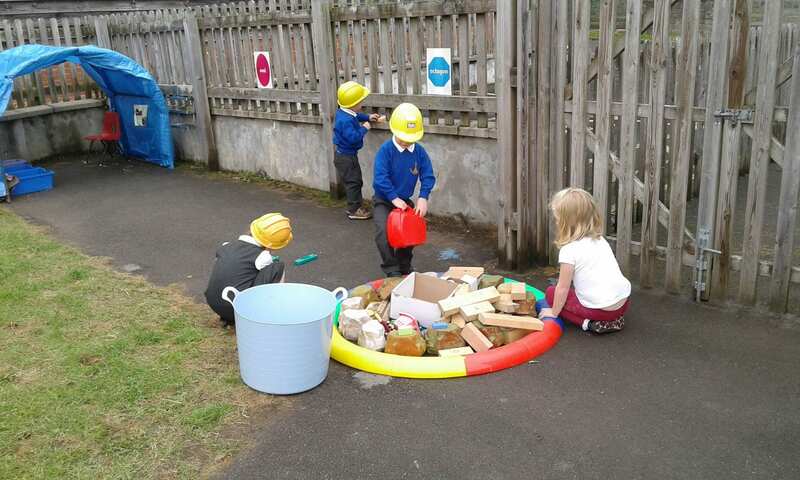 The children worked beautifully together looking for different colours in the natural environment and different textures. We were very impressed with how well they worked together.